Announce your special occasion with invitations from White Mirage, New Delhi. They specialize in luxury wedding invitations and offer a wide range of stationery options for Cocktail parties, Bachelorette, Hen parties and Pre-Wedding. So, set the tone for your special Day with White Mirage. Backed with a team of professional graphic designers, the brand provides Invitations for your exquisite and artistic taste. The team will help you create the perfect piece of art which will be the first glimpse to your special day. At White Mirage, New Delhi you will be spoilt for choices and will witness their passion for luxurious paper and love for colors which will bring out the perfect luxury invite that you are looking for. The elaborate pieces on the meticulously crafted card invite are added by the use of complex embossing techniques, laser cuttings and luxurious gold and silver foiling. This Luxury invite is quiet popular this wedding season due to its eye catching details. So, invite your guest with elegance this wedding season. 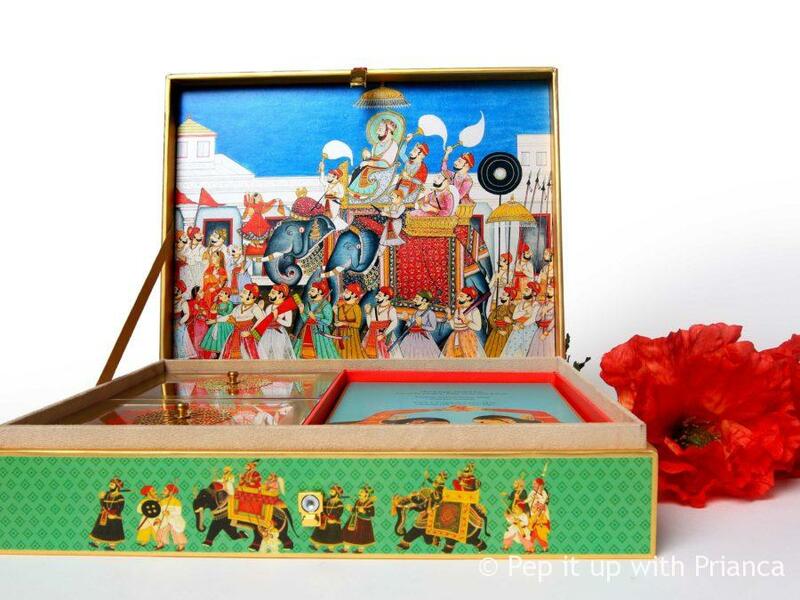 If you plan to host a rich – royal and nawabi wedding then this beauty is just for you. The printing on the box will leave you spellbound. There is a storyboard to this luxury wedding invite with detailed description and can be customized according to your theme and functions. 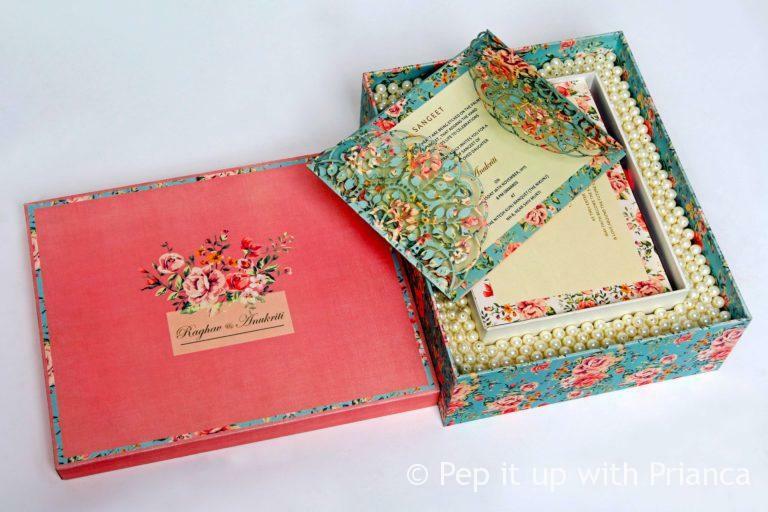 This invite is popular for its intricate details, glamorous yet traditional embellishments and exquisite ribbons. Add a pearlescent look to your invites with pearls. 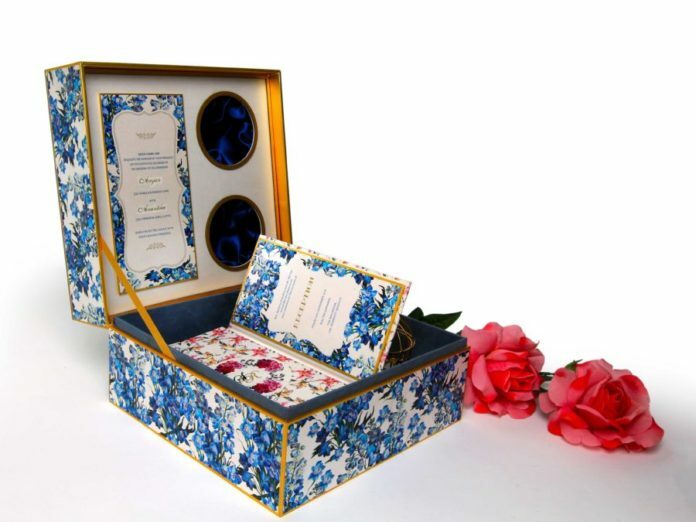 The wedding invite can be customized and designed for traditional, romantic, modern and sophisticated themes. The pearl work on the invite gives this classic invitation a modern feel. Experience the beauty of tradition with a luxurious touch of shimmer, pearl wedding invitations from Invitations by White Mirage. Visit White Mirage and share your creative theme with the team and wait for the perfectly crafted invitation which will best reflect your personality. Lovely designs . I too would like to share a personalized wedding website, which are the latest trends for marraige invites .